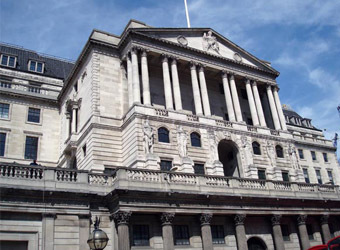 The Bank of England will allow European banks to continue selling their services in the United Kingdom without having to create expensive subsidiaries after Brexit. The decision, if confirmed, would mean European banks offering wholesale services would not face new hurdles to operating in London, which vies with New York for the title of the world’s financial capital. A BoE spokesman declined to comment on the report. The central bank is due to publish its approach to future supervision of foreign banks at 1300 GMT. The BoE’s proposal would amount to a signal of goodwill by Britain in Brexit talks and an attempt to preserve London’s position as the financial center which hosts more banks than any other. The BBC quoted unidentified government and industry sources as saying they supported the decision. A later version of the BBC story removed a reference to the BoE proposing that EU banks would be allowed to operate as usual even if no divorce deal was struck between London and Brussels. More than 100 banks operating in London are branches of lenders headquartered elsewhere in the EU. Currently, they operate in Britain under EU “passporting” rules which are due to expire when Britain leaves the bloc in March 2019. The BoE had previously said it would let banks know before the end of the year whether these branches must reapply for branch licenses to operate after Brexit, or would need to be turned into subsidiaries, a costlier option for banks. Switching from being a branch to a subsidiary means having to build up buffers of capital and cash locally. British Prime Minister Theresa May has said Britain will leave the EU’s single market, raising questions about how companies in Britain will do business in the bloc after Brexit, and how European companies can operate in Britain.